Free BODYARMOR SportWater (1 liter size only) in Kroger stores, with coupon. This Kroger Free Friday Coupon is available for download on Friday, February 2, 2018 but you have until February 18, 2018 to redeem it. What is BODYARMOR SportWater? BODYARMOR SportWater is the sports drink for today’s athlete, providing Superior Hydration by combining electrolytes, natural flavors and natural sweeteners. Ingredients: Filtered Water, Pure Cane Sugar, Flavour Concentrate, Citric Acid, Dipotassium, Phosphate (Electrolyte), Vegetable Juice Concentrate (Color), Ascorbic Acid (Vitamin C), Magnesium Oxide (Electrolyte), Calcium D-Pantothenate (Vitamin B5), Niacinamide (Vitamin B3), Natural Fruit Punch Flavour with other Natural Flavours, alphs-Tocopheryl Acetate (Vitamin E), Zinc Oxide (Electrolyte), Pyridoxine Hydrochloride (Vitamin B6), Vitamin Palmitate (Vitamin A), Folic Acid (Vitamin B9), Cyanocobalamin (Vitamin B12). 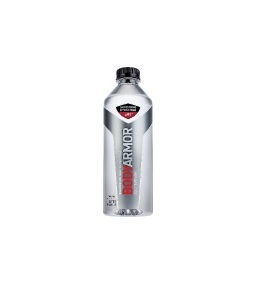 Redeem your coupon in-store within 2 weeks for free BODYARMOR SportWater (1 liter size only). Your coupon will automatically be applied at checkout when you use your Shopper’s Card. Available in most stores.